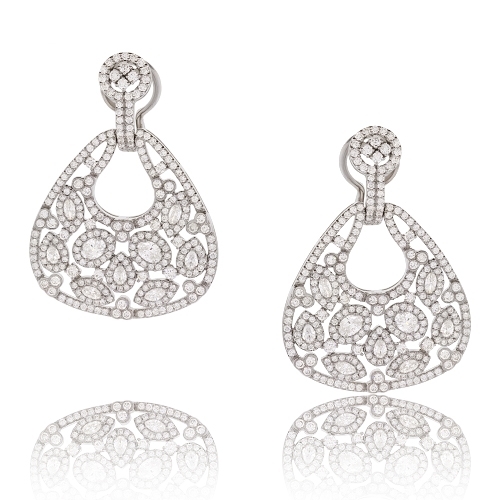 Brilliant fancy shaped diamonds sent in an open patterned dangle of 18kt white gold. Diamonds approx. 4.37ct. Earrings 1.5"